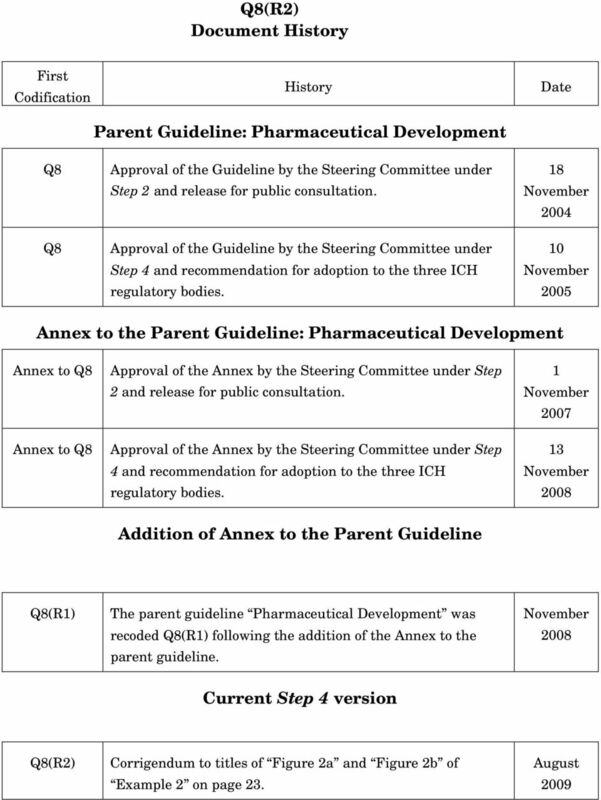 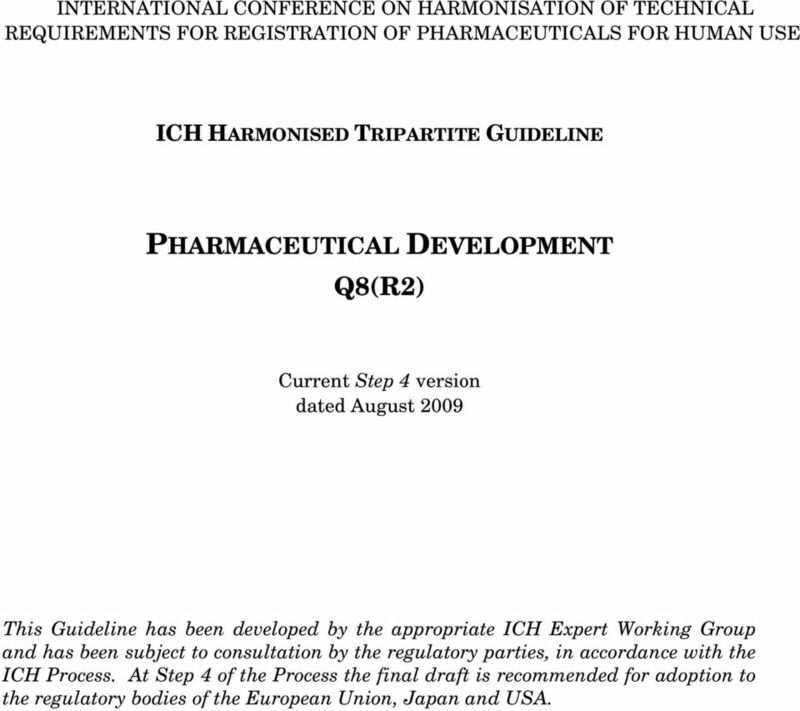 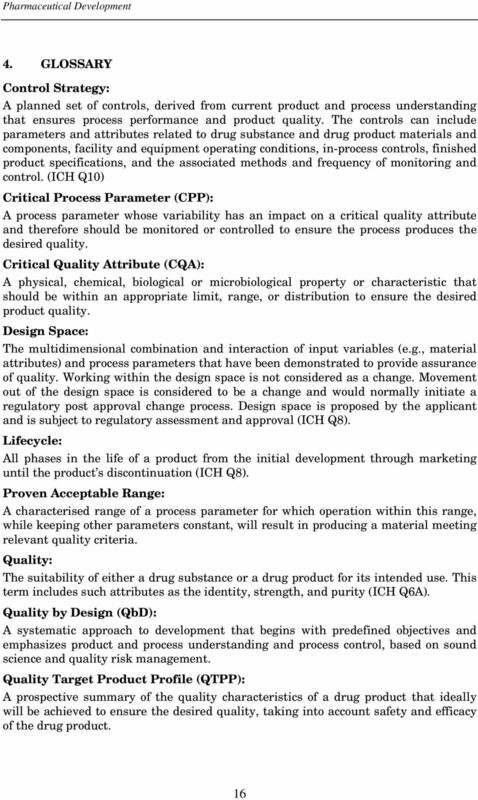 1 INTERNATIONAL CONFERENCE ON HARMONISATION OF TECHNICAL REQUIREMENTS FOR REGISTRATION OF PHARMACEUTICALS FOR HUMAN USE ICH HARMONISED TRIPARTITE GUIDELINE PHARMACEUTICAL DEVELOPMENT Q8(R2) Current Step 4 version dated August 2009 This Guideline has been developed by the appropriate ICH Expert Working Group and has been subject to consultation by the regulatory parties, in accordance with the ICH Process. 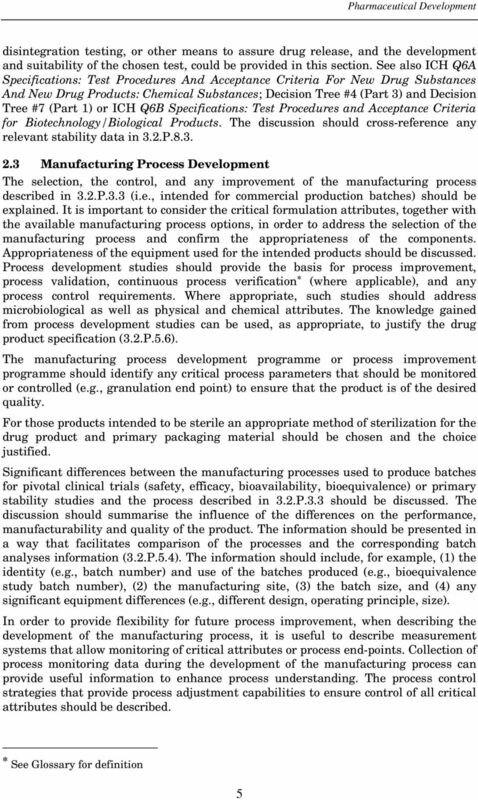 At Step 4 of the Process the final draft is recommended for adoption to the regulatory bodies of the European Union, Japan and USA. 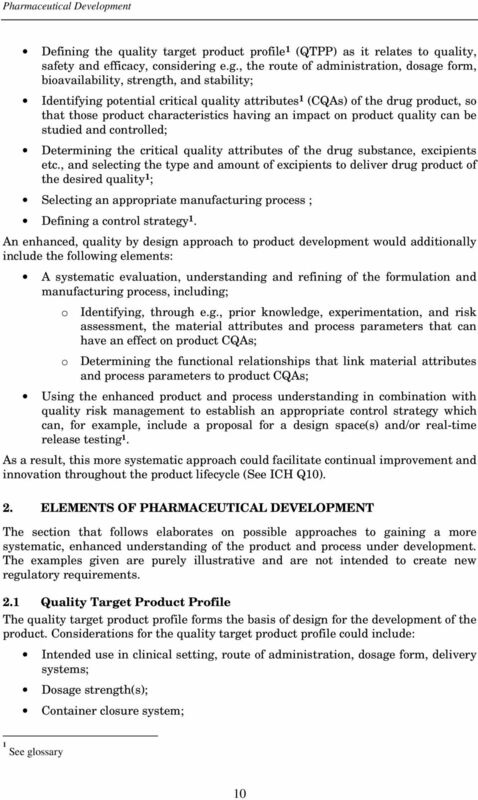 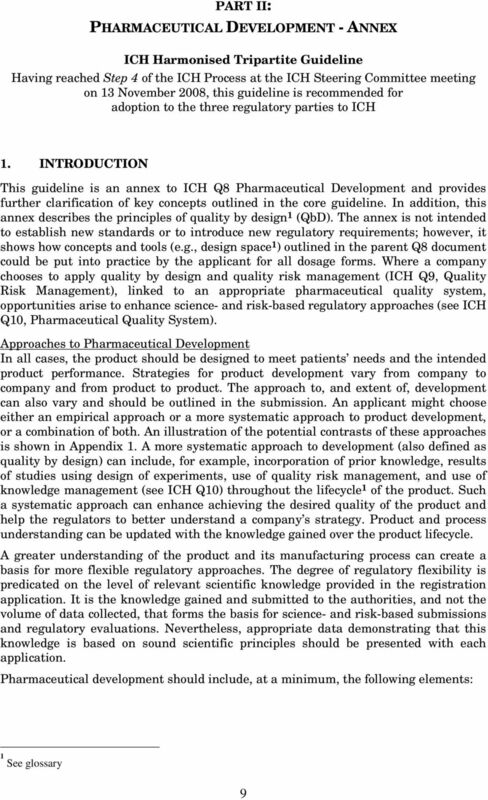 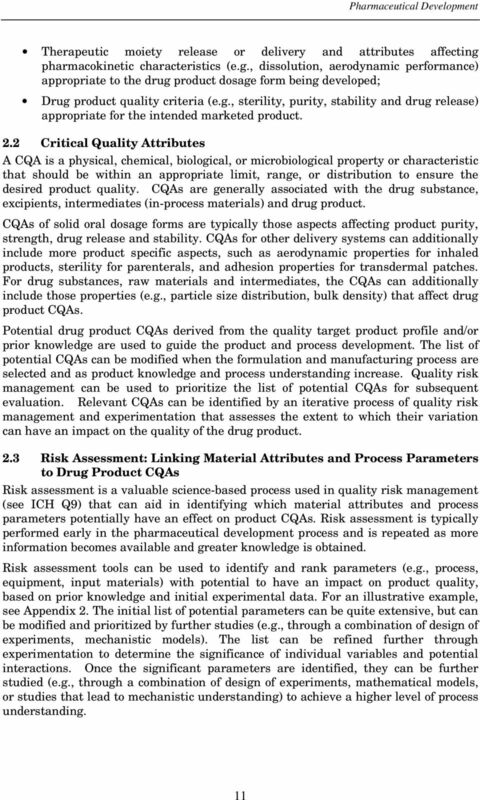 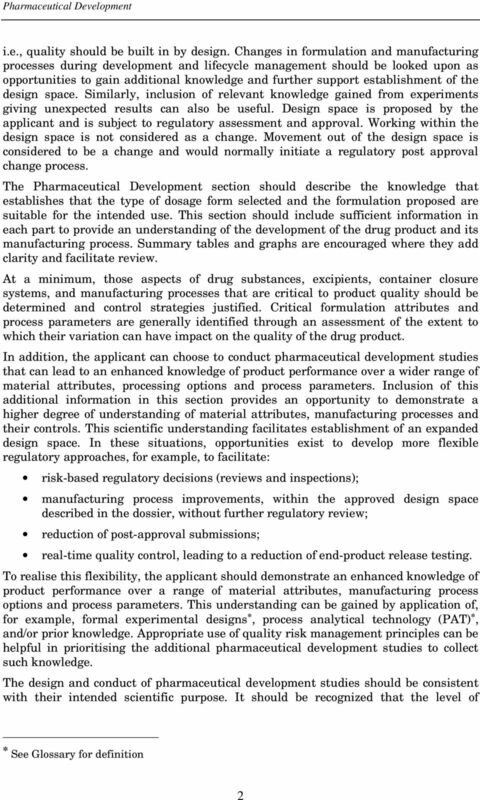 Review Article QUALITY BY DESIGN (QBD) : A COMPLETE REVIEW Nishendu P. Nadpara*, Rakshit V. Thumar, Vidhi N. Kalola, Parula B. Patel Department of Quality Assurance, S. J. Thakkar Pharmacy College, Opp. 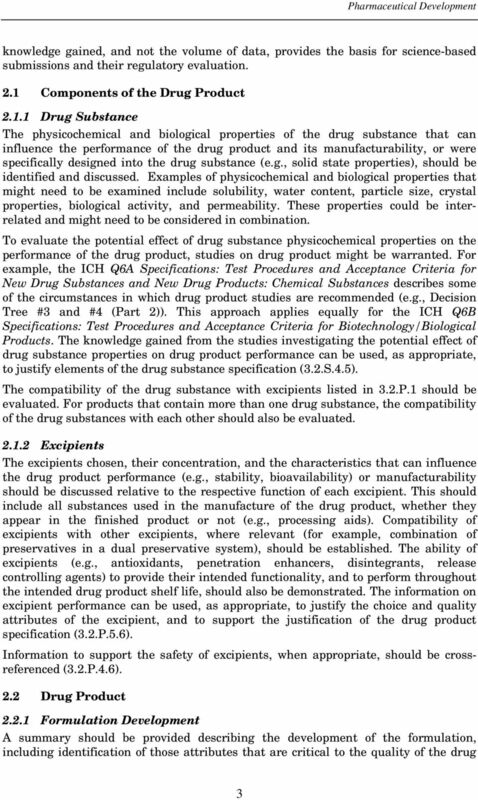 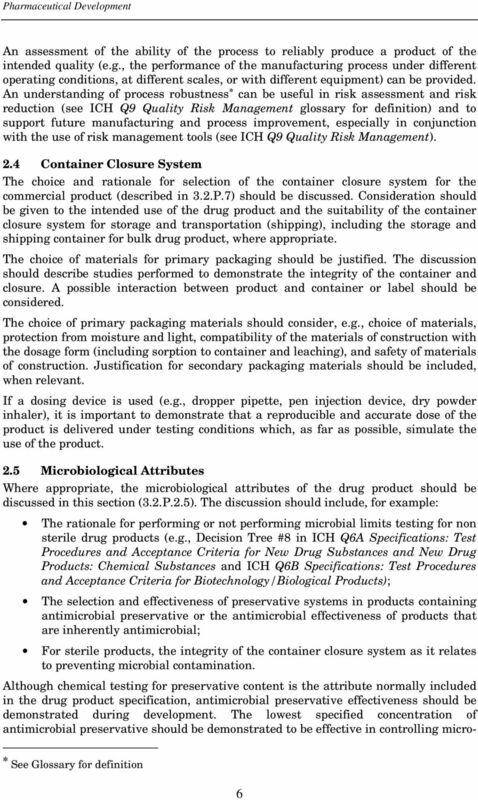 ICH Topic Q 6 A Specifications: Test Procedures and Acceptance Criteria for New Drug Substances and New Drug Products: Chemical Substances. 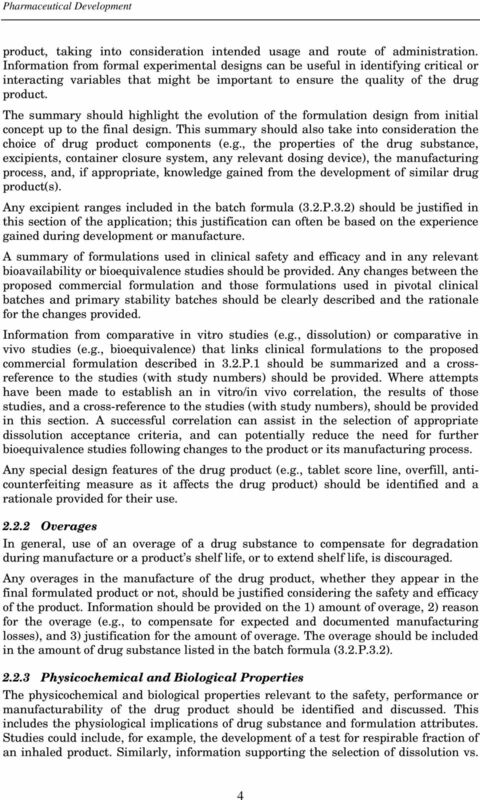 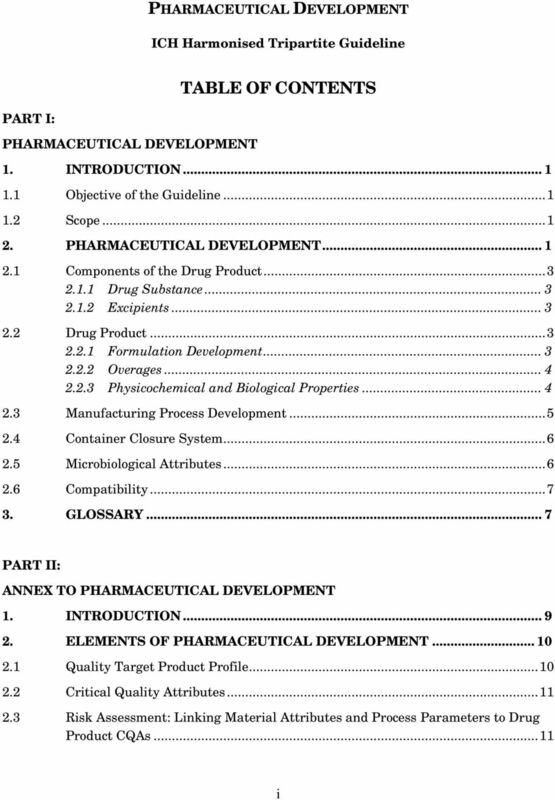 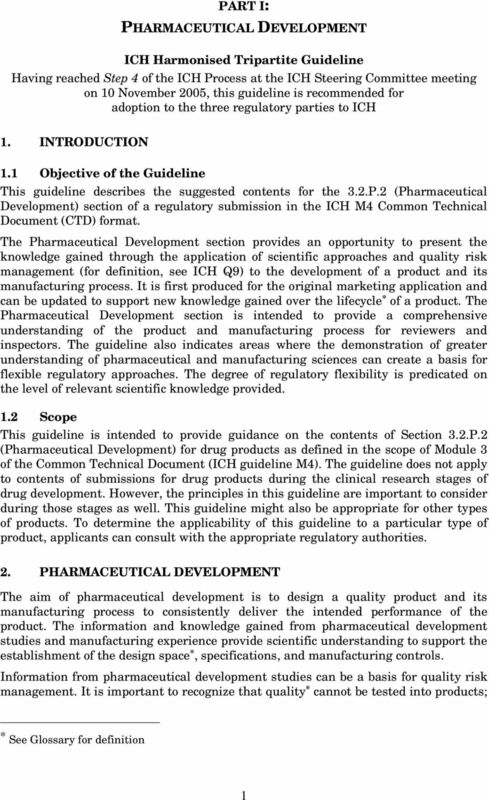 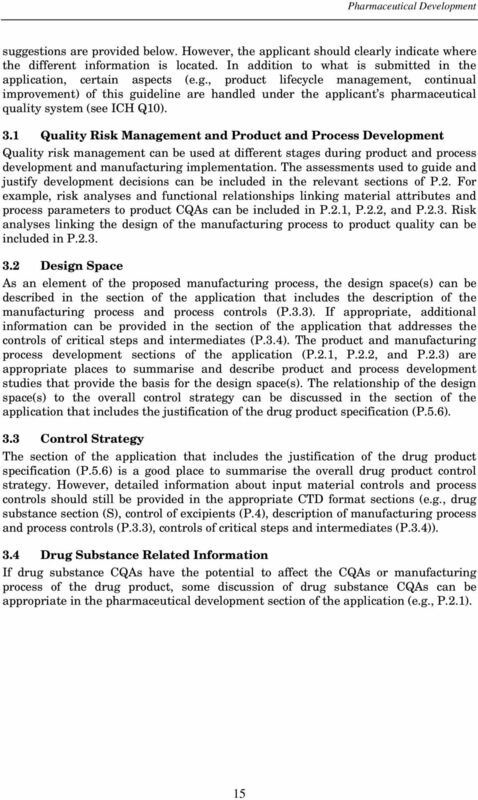 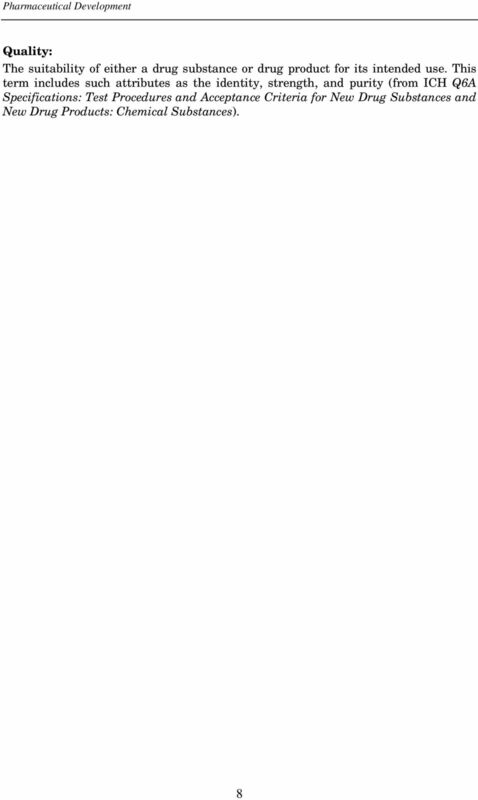 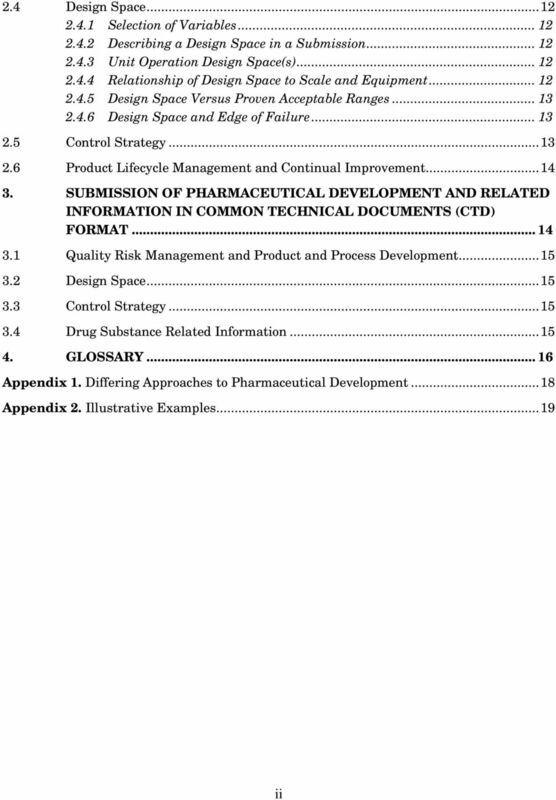 GUIDELINE ON ACTIVE PHARMACEUTICAL INGREDIENT MASTER FILE (APIMF) PROCEDURE 1 (The APIMF procedure guideline does not apply to biological APIs. 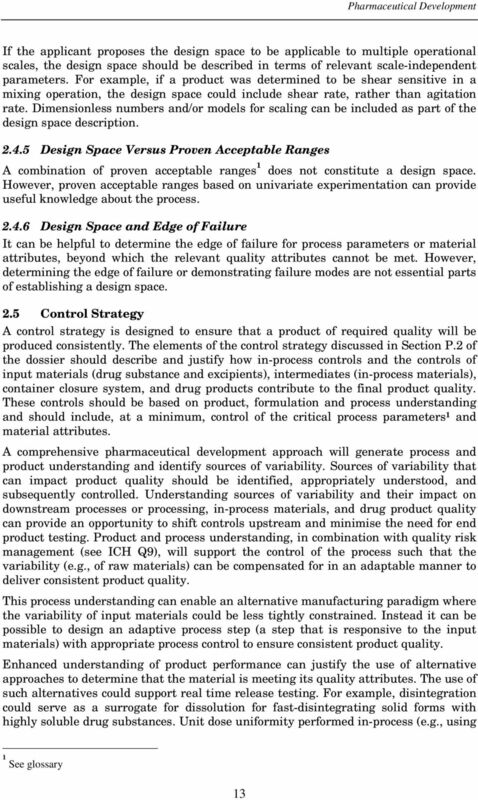 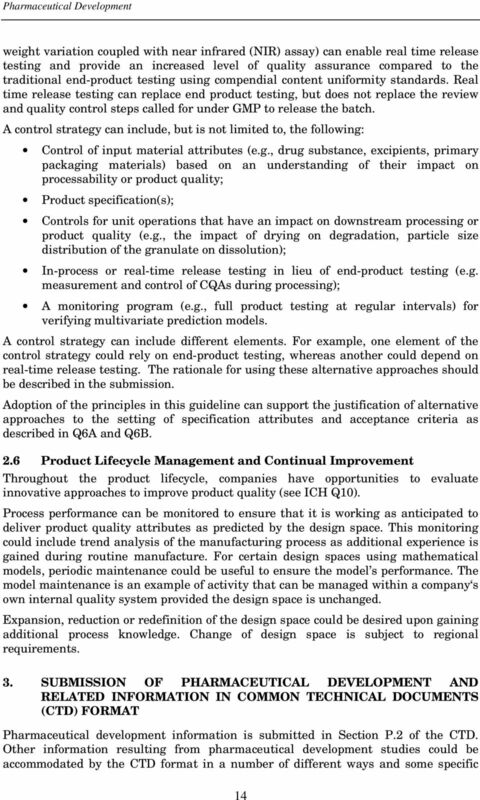 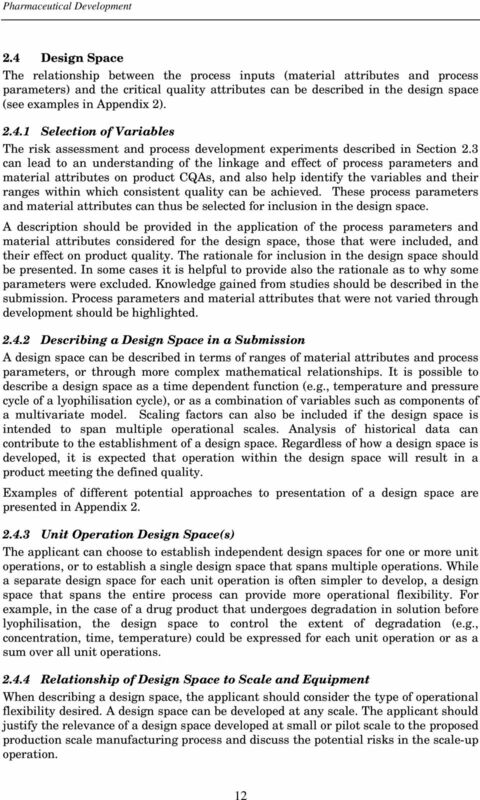 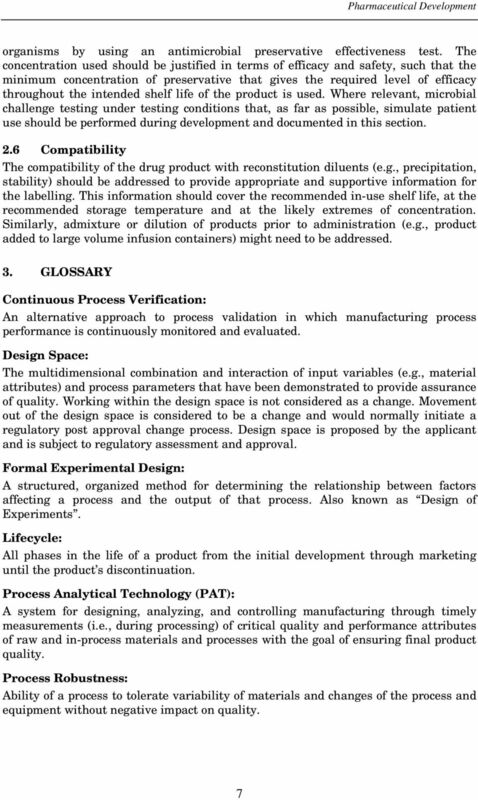 Implementing Lifecycle Validation Practices at Contract Manufacturing Organizations This paper discusses the nuances of lifecycle validation implementation at contract manufacturing organizations (CMOs).